When you have suffered a traumatic brain injury due to someone else’s negligent action or inaction, you likely have a legal case against them. It can be hard enough to deal with the TBI recovery process without having the added stress of a court case. While it may make you want just to settle as quickly as possible, it is important that you fight for the compensation that you are entitled to. Not only will it help you to pay for the extensive medical bills you probably have acquired, but it can also provide you with the financial means to obtain much needed long-term therapy. Here is a brief overview of the common legal side of TBI and what you can expect in the process. If you don’t already have an attorney, you will want to find one quickly. Look for attorneys in your area that are experienced in the field of personal injury. 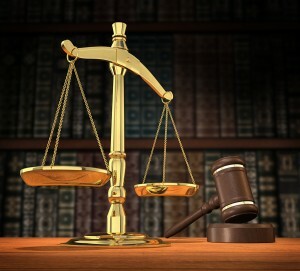 There is a common misconception that lawyers are expensive when it comes to injury cases. In actuality, many attorneys accept injury cases on a contingency fee basis. This means you don’t have to pay anything unless you win your case. You have nothing to lose. The majority of cases settle outside of court through mediation or another alternative dispute resolution method. The other side and your attorney will negotiate and then you may receive a settlement. If the other party refuses to be reasonable, your attorney can take them to trial and obtain a judgment to help cover your damages. This process can be fast or take many years. It is highly dependent on the facts of your particular case. If you have suffered a TBI due to negligence and you have questions, join the TryMunity community today. You don’t have to go through this alone!